Google Analytics is a free service offered by Google. It first started out as a way to track pageviews, unique visits, and more on websites. However, it has been expanded to also allow tracking of mobile app usage data. 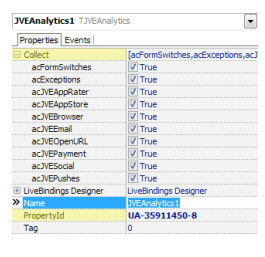 The TJVEAnalytics component is a wrapper of this functionality and by default it collections all kinds of information about the usage of the different JVE components if you use them in your app. The TJVEAppRater component allows you to prompt users to visit your app page on the various app stores and rate your application. App ratings are important because when a user goes to download your app one of the items they look at is the rating of your app. 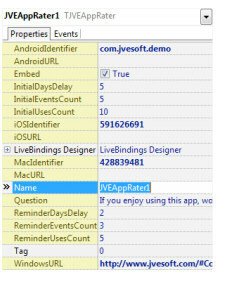 With TJVEAppRater you can prompt users that love your app to contribute their rating to your app. Android, IOS, and Mac stores are supported by TJVEAppRater.